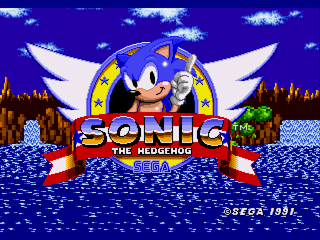 This is a hack which enables a Super Sonic transformation in the original Sonic the Hedgehog for Genesis. 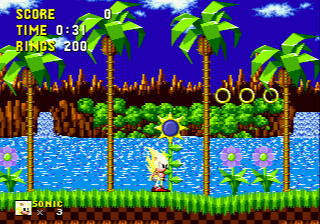 Sonic can transform to Super Sonic by double jumping while in the air after acquiring all 6 Chaos Emeralds. There is also a cheat code to transform into Super Sonic without beating any special stages. Cheat codes can be found in the readme. Tested on a ROM in BIN format. Not guaranteed to work on other formats. Use on the 1.0 version. The patch is in xdelta format due to shifting data resulting in a ips patch larger than the ROM file itself.